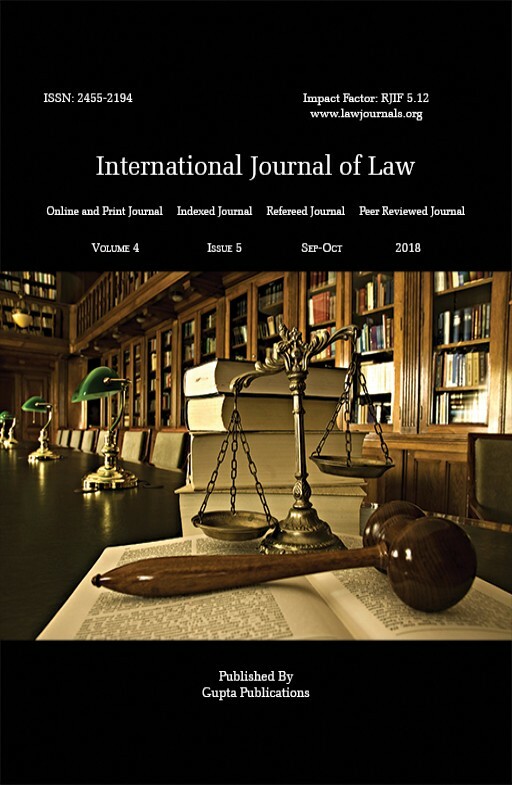 International Journal of Law is an open access, peer-reviewed and refereed journal provide dedicated to express views on topical legal issues, thereby generating a cross current of ideas on emerging matters. This platform shall also ignite the initiative and desire of young law students to contribute in the field of law. The erudite response of legal luminaries shall be solicited to enable readers to explore challenges that lie before law makers, lawyers and the society at large, in the event of the ever changing social, economic and technological scenario.